Mary Magdalene was regarded as “the forbidden female” in the Christian tradition: wild, free and sinful. 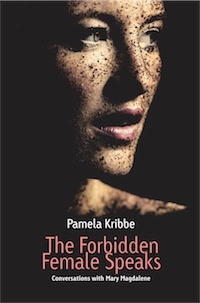 This book contains a dialogue with and messages from Mary Magdalene, channeled by Pamela Kribbe (PhD). It is about male and female energy, relationships, sexuality and healing. In these teachings, Mary Magdalene speaks with a clear, loving voice that is sometimes direct and confrontational but mostly compassionate and deeply appreciative of human nature. In both men and women, there is a forbidden female energy, Mary Magdalene says, which has to do with feeling, intuition and the heart. In this day and age, both sexes are invited to become aware of this energy and to heal the old wound of separation between them. In this way, we will learn how to listen to our heart’s whispers again and reconnect with our soul.